The folks at Expert Shield sent me a couple of their screen protectors to try out on the D800, but will also be sending a couple for the X-T1 when available. If you're like me, you have probably tried loads of these stick on screen protectors from Ebay, only to curse them when you're looking at your LCD on the back of the camera with a cluster of air bubbles. So I wasn't holding out much hope when the Expert Shield pack arrived last week. I've also been super busy lately, so the thought of a bubble wrestle was all I needed to put off trying these out and concentrating on getting edits done. But having recently broken the plastic LCD cover that comes with the D800, I thought it might be some sort of omen. I have however put glass covers on my D800 screens and didn't want to remove these (still thinking bubbles at this point). So I was about to have two layers of protection. But obviously this is overkill and one screen protector is enough for any photographer. Boy was I wrong about these things! The application was quick (even though I was taking photos as I went) and there wasn't a bubble in sight. The Expert Shield protectors use silicon to stick to the screen, so no sticky residue and you can also peel them off and reposition if you don't get it right first time. Oh, and did I mention...no air bubbles? 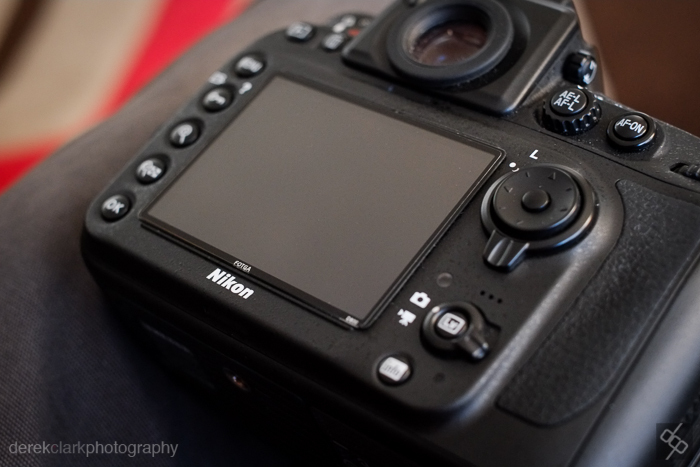 Applying the screen protector was a breeze and very quick to do, even with the D800 having two screens. As the instructions say "dust is your enemy", so the included lens cloth was both handy and essential. As you can see from the photos below, the finish is absolutely flawless and there are zero air bubbles. Our camera screens are not something we want to replace. In fact when they do get scratched we tend to just put up with them. So it's mad not to cover them with some sort of protector (My X-E1 is without protector, so I'm guilty with that one). I highly recommend the Expert Shield protectors as they're not much more expensive than a cheap ebay version, but the quality is far higher and of course the best bit is that they are air bubble free (I might have mentioned that). You can find more information HERE for the UK and HERE for the US. There's also a video on the site that's worth watching.